I was born with an innate love of flowers and plants. I spent my childhood gleefully exploring the gardens of my grandmothers, my mother and my aunts. I was always on the hunt for just the right flowers or greens to cut and bring indoors. I collected vases from an early age so there would always be a little special something to tuck them into next to my bed or on the kitchen table or a sunny windowsill above the sink. This is where my fascination with arranging began. I don’t remember a time in my life when I didn’t have flowers in my home. The problem I began to discover, when I no longer lived in my family’s house surrounded by gardens, was that the flowers available to buy at the grocery store, or even some local florists, were not the type that made my heart sing. They had no fragrance, they were always the same limited varieties no matter what time of year it was, and they were often dyed for color and bred to last forever. 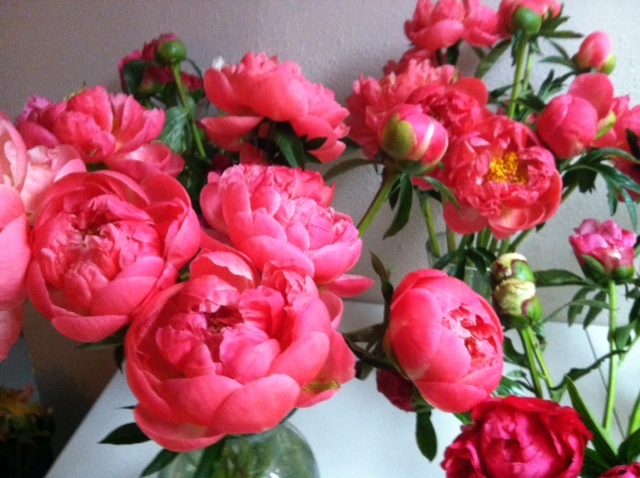 Lost to these flowers was the natural, ephemeral beauty that I so desired to bring into my home. They became to me only a step above artificial flowers. I longed for flowers and wild greens whose scents drifted through the house on a breeze and whose arrangements reminded me of the garden they came from. I longed to give flowers as gifts that would be just that---natural, raw beauty wrapped up and delivered to someone in need. I couldn’t find those flowers so I started foraging around ditches and fields and mountainsides. That is how I satisfied the need in my early adulthood. My life took me through college, law school, and 14 years of representing abused and neglected children in the family welfare system. I found that flowers and beauty were no longer a luxury for me, but instead a need. Beauty became the balance to the sadness and despair I dealt with during the day. I found this beauty readily while tromping around my small farm in the lush Midwest springs, humid, sensuous summers, and into the crisp fall days. But when winter came…..there was no life. My entire being longed for flowers in the winter, but not what I seemed to be able to find around town. I wanted seasonal, vibrant, unique, and ever changing varieties of flowers. I began searching for these from around the country to around the world. This is how Honeysuckle Hollow was born. I asked my friends if they would like to come to my house and buy some really special flowers once a month. They leapt at the chance, likely for the same reason I so desired these types of flowers. Cars braved it up my rough, country road in snow and mud. My small cabin buzzed with people, and after a Mother’s Day sale where my family was forced into wearing wool sweaters to bed to keep the flowers cool, we decided it was time to find a shop. I moved into a little commercial space that was on land my husband’s family had farmed for generations. It looks out across the busy road to the farm where my father-in-law grew up. I was able to spread out and order much more product for the monthly flowers sales. And so, my business began to grow. Out of fear, I decided to close up briefly and attempted to go back to law full time. It can be scary to follow your heart and recognize your true talent. To leave behind what seems safe and proper. Alas, it was not long before I decided to reopen the doors and embrace a path that I had always longed to travel. I had worked at florists and garden centers in the summers between college, but that was years before, and this was the real thing. This was my dream coming to life. I found that my desire to create beauty had an avenue, and I began laying plans. I vowed to create the type of flowers that make your heart sing. At Honeysuckle Hollow, we buy from as many local and US flower farmers as possible because they provide bountiful, fresh, seasonal blooms and are often grown using sustainable and sometimes chemical-free methods. They are also grown by amazing people that I LOVE working with and supporting. 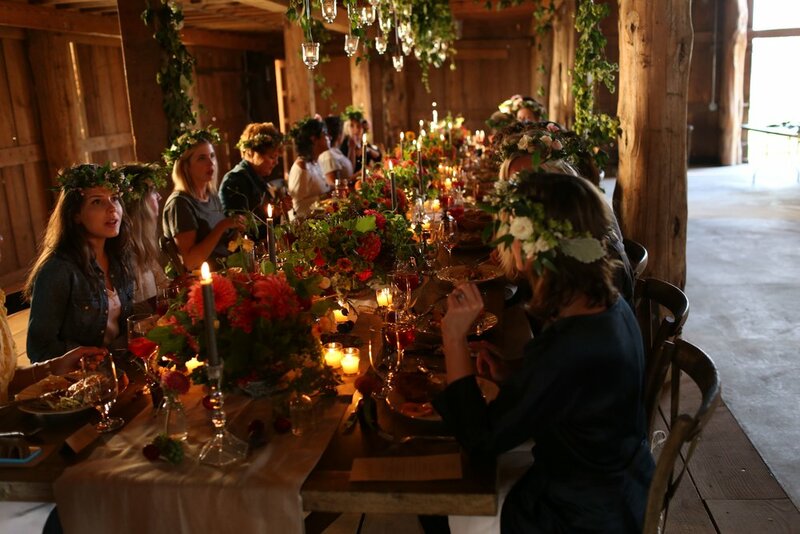 They are part of a growing movement to bring flower farms back to the US and it feels great to be part of this. I do sometimes crave, wildly exotic items and head out into the world (via the internet) to purchase unique, specialty blooms to add excitement to my arrangements. It is this fascinating blend of sources for flowers that gives Honeysuckle Hollow floral designs their special, boutique flair. We are also a unique floral business model. 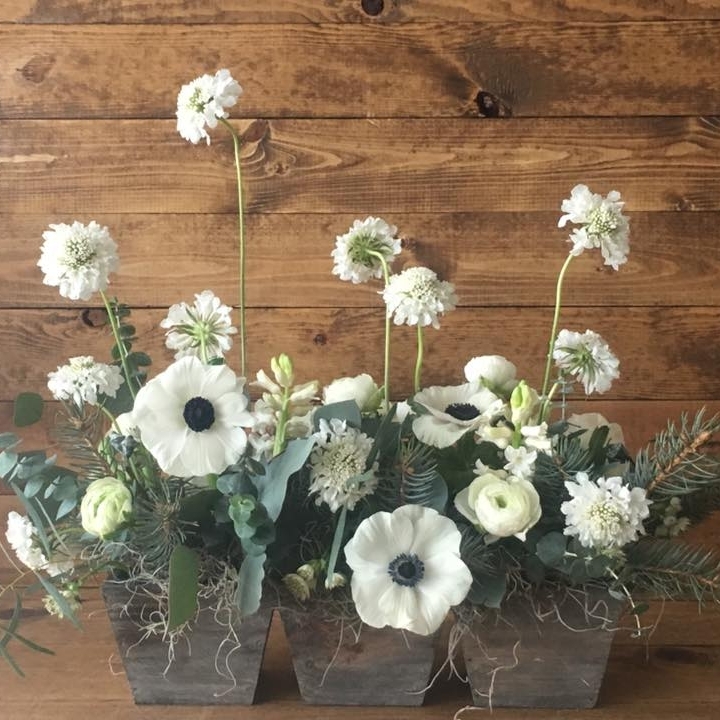 We are primarily an events-based florist designing for weddings, corporate events, private dinner parties, birthdays, wedding and baby showers, fundraisers, barn parties, tea parties, and more. Flowers with the most beauty tend to be fleeting it seems (though there are a few exceptions). Therefore, being unbound by vase life, our event flowers can stretch the true creative limits. My life as a mother and a wife of a true adventurer also lends more towards doing events, rather than opening shop every day. Consequently, Honeysuckle Hollow takes only a limited number of special events a year. 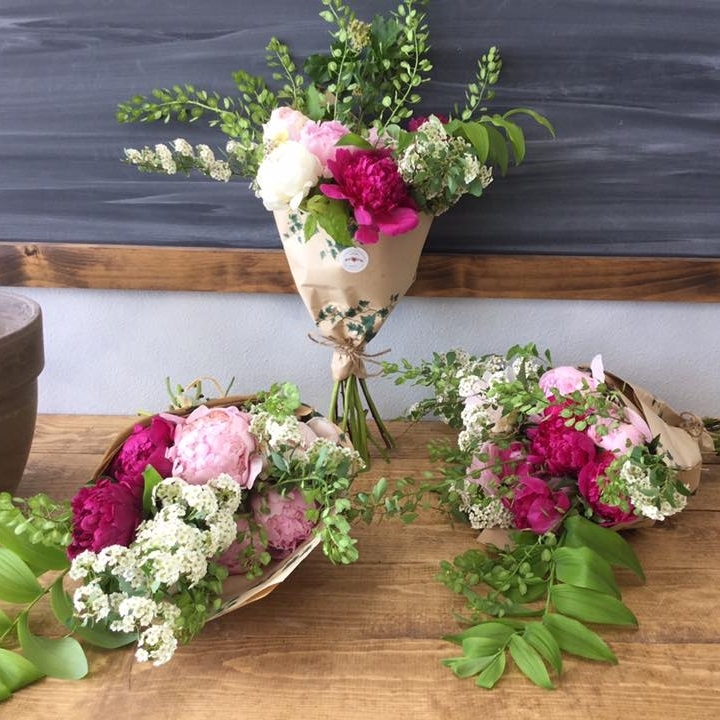 Our interesting twist, though, is that we not only do events but we have continued our once-a-month flower sales where we open our doors to the public. 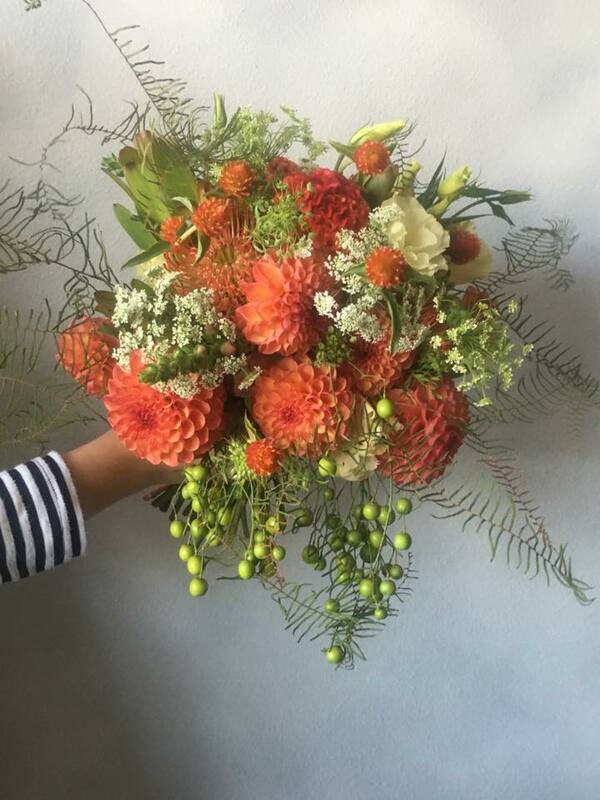 We order in a large quantity of ever-changing, seasonal flowers and foliage, design them and offer them for sale. 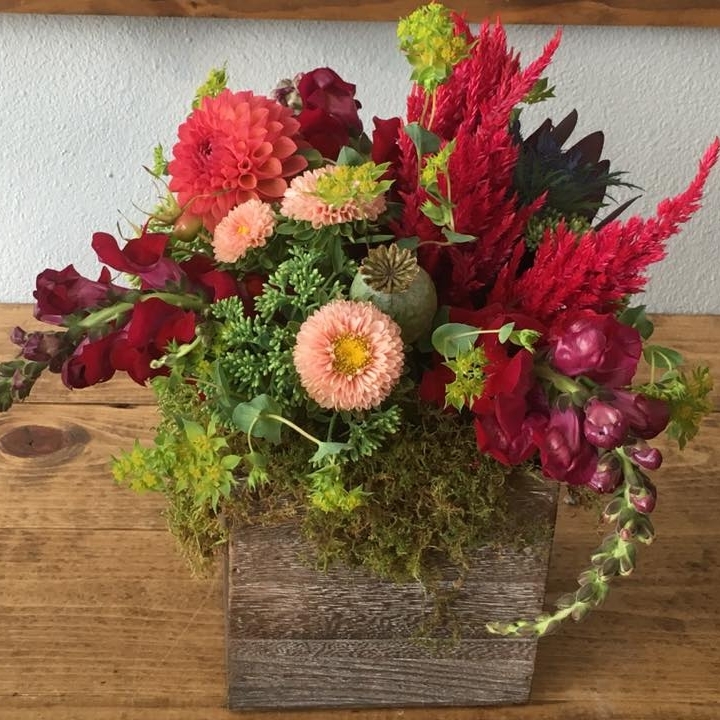 It is a great time to showcase the types of flowers we use and the nature-inspired floral designs that we are known for. It also gives us a wonderful opportunity to connect with people in town and advertise on a more personal level. Real, vibrant flowers awaken an amazing response in people. It is my hope that everyone who sees flowers from Honeysuckle Hollow feels inspired and experiences the type of raw joy that flowers were always meant to bring.